Many Annapolis drivers are seeing the benefits of Jaguar sales. After all, you can receive the luxury car you want, at a price you’re comfortable with. For drivers interested in the latest Jaguar models and Jaguar sales, Jaguar Annapolis provides the place for you! At Jaguar Annapolis, we want to ensure your next vehicle decision is a smart one, and we encourage Baltimore drivers to take advantage of our Jaguar sales. There’s a Jaguar sale that makes sense for you. Jaguar models provide luxury, comfort, tech, safety, and a luxurious history. 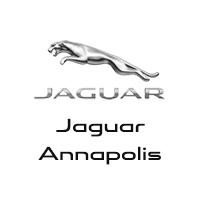 Jaguar Annapolis works to have the best Jaguar sales on the east coast. In order to snag a great Jaguar sale in Baltimore, visit Jaguar Annapolis today. Contact us online, or view our inventory today!